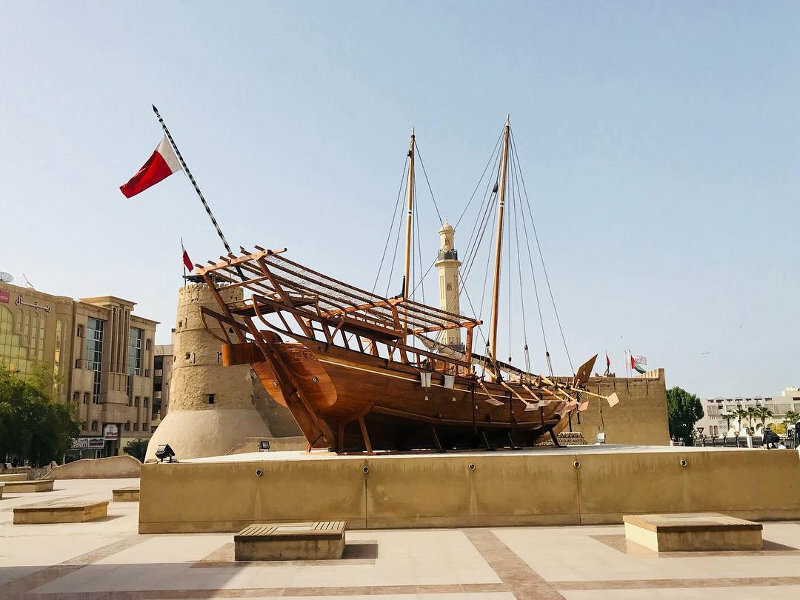 The Persian Gulf city of Dubai is renowned for its sizzling sun, loads of action-packed things to do and breath-taking sightseeing, leaving visitors in awe of its urban progressiveness. The best time to visit Dubai is during the cooler months from November to March when you can delight in its tropical desert climate. 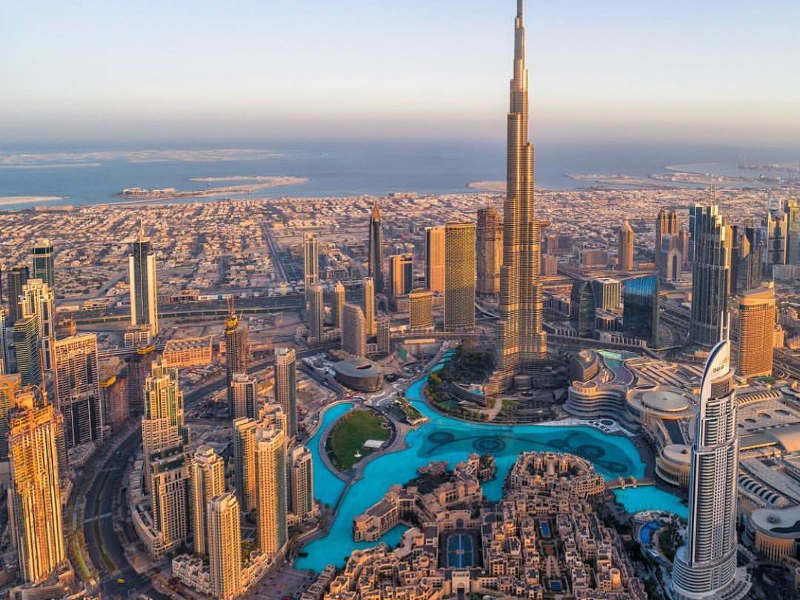 Dubai has fast become the most popular city in the Middle East. It is on many people’s travel bucket list. This is no surprise, as it boasts incredible futuristic architecture contrasted with buttermilk desert sands. This coastal destination is a dazzling city in the United Arab Emirates with an abundance of shopping and cultural experiences to enjoy. In addition to the awe-inspiring buildings, including the tallest building in the world the – Burj Khalifa – Dubai’s coastline consists of impressive man-made islands. Have you been obsessing about visiting this Middle Eastern destination with all its splendour? Well, book cheap flights to Dubai with Travelstart and get packing for this global city! This desert city doesn’t experience much seasonal variation throughout the year. Seasons are distinguished by hot and sizzling. Temperatures can soar up to 40°C during the peak summer, making it extremely harsh for daily sightseeing and venturing through Dubai. 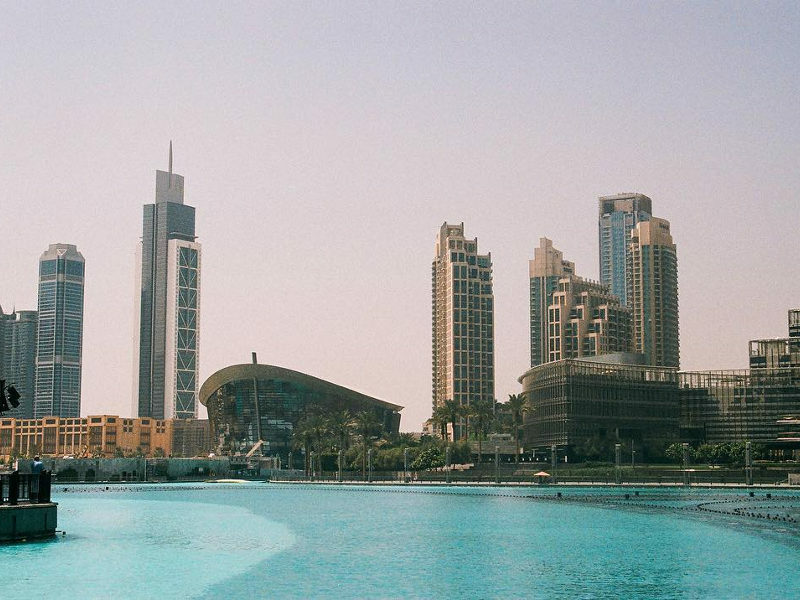 Dubai does not experience a typical winter as it has sunshine all year-round. November to March is considered the winter season and the best time to visit Dubai. The winter months bring some relief from the scorching sun with cooler temperatures averaging 25°C. 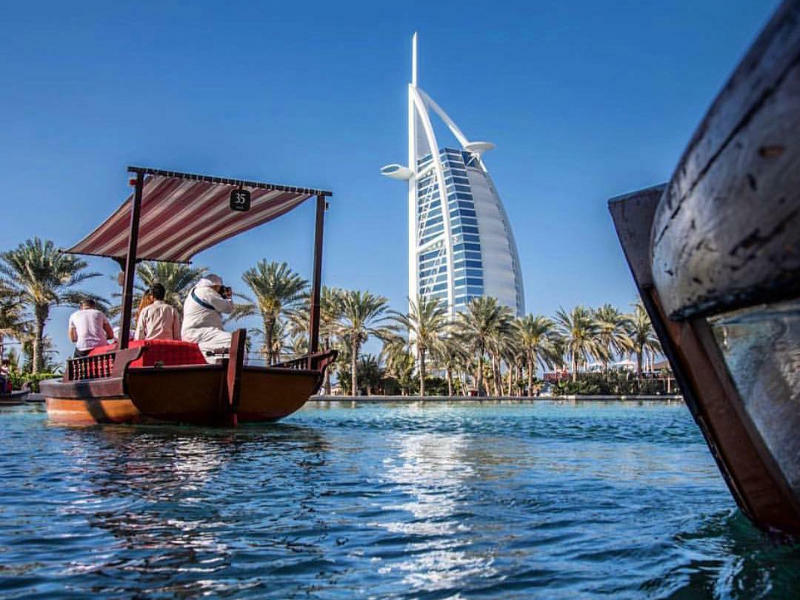 Whether you’re jetting off to the Persian Gulf city for its cool beaches, to embrace the exhilarating entertainment or to shop to your heart’s content, the best time to visit Dubai is definitely during the ‘cooler’ winter. With beautiful weather comes peak crowds of tourists, so prepare for a sea of tourists from around the world. 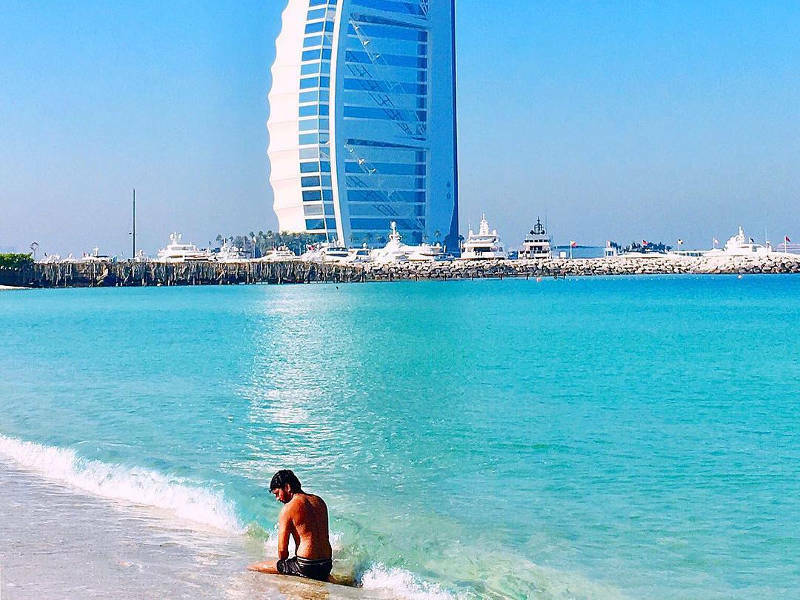 The glorious Jumeirah Beach sees crowds of tourists relaxing on its buttermilk sand and enjoying the warm water. Be prepared for crowds in January and February, a particularly popular time as people make their way to the annual Dubai Shopping Festival. Tourists can expect discounts of up to 75% on some incredible merchandise, including jewellery, electronics and the best fashion. If you’re after few crowds, mid-November to early-December and early March is the best time to visit Dubai’s attractions, without fighting your way through the masses. Keep in mind that the winter months are considered high season resulting in high accommodation rates and flights, so be prepared to spend a few more dirhams. If you’re visiting Dubai during peak season you should book well in advance! The summer months (April to October) are characterised by extremely hot temperatures and high humidity. The summer period is the best time to visit Dubai if you wish to avoid crowds. As temperatures reach 40°C and higher, tourists exit the city as outdoor activities become impossible to do and enjoy. If these high temperatures and humidity do not bother you head to Dubai during the summer months. Accommodation rates and flights are cheaper during the off-peak season when temperatures are sizzling. Many hotels will reduce their room rates and even offer free meals to guests at their onsite restaurants. During peak summer, it’s best to avoid the sizzling sand along the beach. Rather visit the indoor ski resort (Ski Dubai) or the air-conditioned shopping malls where you’ll have endless fun while remaining cool. How much are flights to Dubai? Since the peak season is considered the best time to visit Dubai, flight prices are at their highest. You can expect to pay up to 50% more for flights to Dubai during the months of December and January. Remember to book your flights and accommodation 3 months in advance! The off-peak season includes extremely high temperatures but this is the best time to visit Dubai if you’re looking for cheap flights and accommodation. Book flights and save up to 40% when you fly during the summer months. Dubai does not experience much variation in daylight hours throughout the year. From June to July, the sun rises at approximately 05:30 and sets just after 19:30 giving you 19 hours of beautiful sunlight. Sea temperatures can reach up to 33°C during the summer months which is a little on the toasty side when you’re looking to cool off from the sizzling sun. The best time to visit Dubai for swimming is in the winter months when sea temperatures range between 21°C and 27°C. Various events and festivals are celebrated throughout the year making it an enjoyable visit for tourists. Have a look at the fun-filled events that occur throughout the year. Dubai Shopping Festival (January) – Over two million visitors make their way to the month-long festival where you’ll get the best bargains in Dubai. Nearly every shop in the city partakes in the Dubai Shopping Festival with concerts, firework shows and more to keep shoppers entertained. Dubai International Jazz Festival (February) – Held at Dubai Media City this annual music event attracts many tourists. This 3-day event is the longest running music festival in the United Arab Emirates with a stellar international line-up. Art Dubai (March) – Artists from around the region get to display their work on the preeminent platform. Visitors can interact with art from the Middle East and North Africa. This highly regarded international art fair creates a conversation beyond traditional art and galleries. Festival of Taste (April) – Dedicated to treating your taste buds, the Festival of Taste incorporates food, drink and music. The 3-day food event hosts some of the world’s most renowned chefs and reputable restaurants. Visitors to the Festival of Taste can watch live cooking shows and even cook with one of the famous chefs in attendance. Do not miss out on the fun! Motexha Textile Show (November) – Shoppers and exhibitors from across the region make their way to Dubai for the annual trade fair. It’s the largest textile show in the Middle East. Dubai Rugby Sevens (December) – Dubai plays host to the first round of the exhilarating IRB Sevens Series. Over three days, 16 international teams compete for the trophy. There are various shows and events to keep fans entertained throughout the three days. Keep in mind that Dubai is a city that practices Islam. Tourists are encouraged to respect the customs of the people and to always adhere to the laws of the city. Muslims fast between dusk until dawn during Ramadan. You should keep in mind when the month of Ramadan (determined by the sighting of the new moon) will be practised when considering the best time to visit Dubai. Does Dubai sound like the perfect place for your next adventure? Have you figured out the best time to visit Dubai to get the most out of the city? 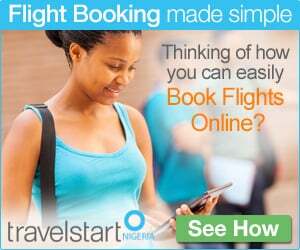 Then now is the perfect time to subscribe to Travelstart’s newsletter and find out about flight deals to this incredible destination! If you’ve been to Dubai and would love to share your experience, comment in the section below. This entry was posted in Travel and tagged Best Time to Visit Dubai, dubai, travel inspiration, Travelstart. Bookmark the permalink.